Bottled Water Service (Atlanta, GA). Available in popular brands and packaging. 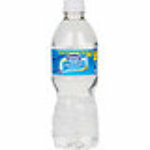 Our goal is to have the largest variety of bottled water available for free business delivery in the Metro Atlanta area.